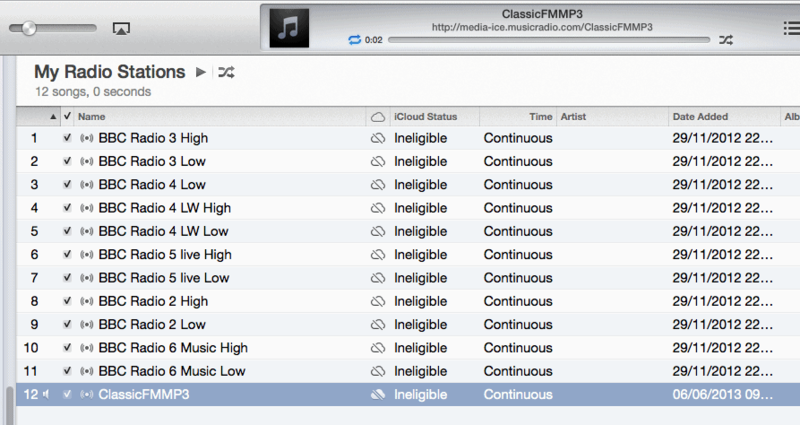 How to add Classic FM to iTunes Radio play list. Home » How to add Classic FM to iTunes Radio. 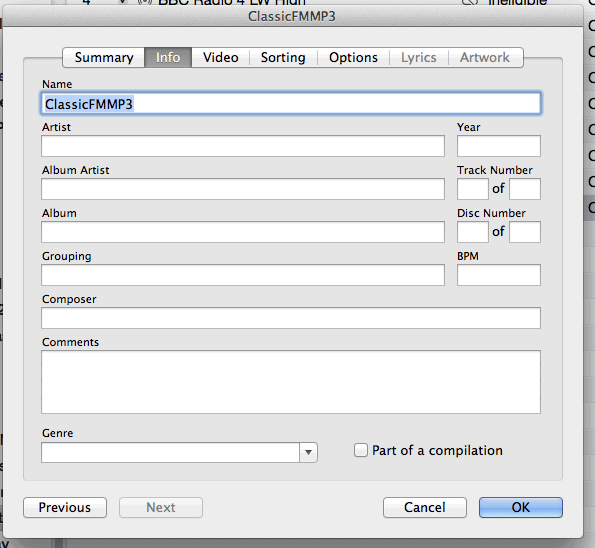 How to add Classic FM to iTunes Radio. 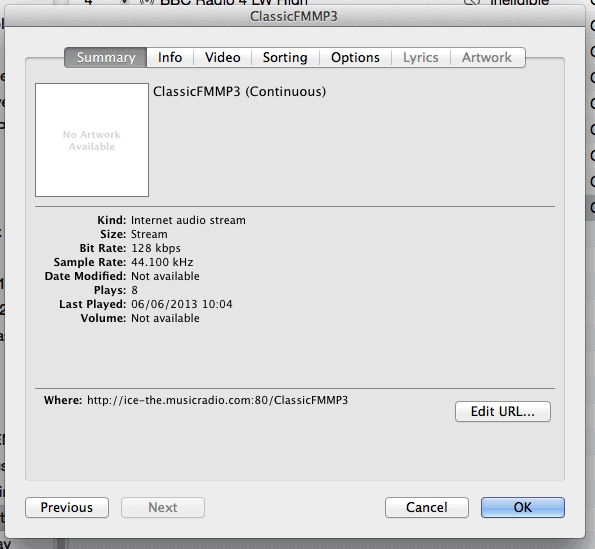 You can now drag ClassicFMMP3 to your Radio Stations playlist so you can easily find it in the future. It’s good to confirm that the stream we’ve added is at 128kbps and 44.10 Khz – so it’s an almost CD quality audio stream. You can then click on the Info tab and edit the description so that it looks better in your iTunes Playlist. Job done, you can now enjoy Classic FM from iTunes, listen to it on your Mac or stream it over your Air Play speakers. 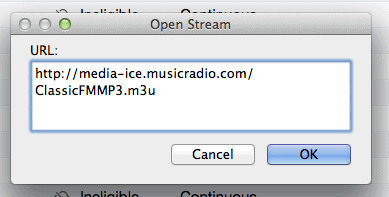 I must give credit to Jonathan Rawle’s excellent blog that detailed where to find the stream URL’s for Classic FM. I had to experiment a bit to make this work reliably. I found that some of the potential streams work for a while and indeed you can add them to your playlist but later they don’t work when you click on them in the playlist. The URL I’ve used here is working reliably for me. Finally for completeness if this doesn’t work for you do check that you have an up to date version of iTunes installed. 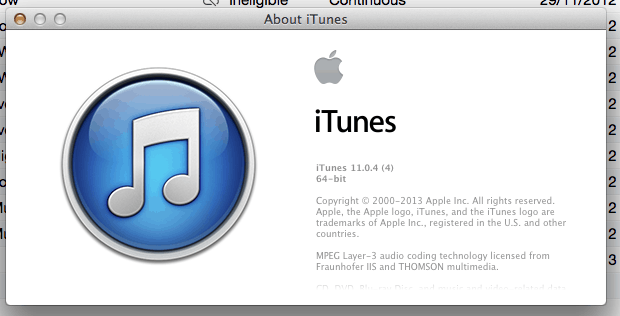 This blog was written when I was running iTunes 11.0.4. Let me know how you get on with this.